These Wine Boxes are a neat gift to give! They become a Time Capsule! I've had some use these as a New Year's capsule! They put memories inside it and vow to not open it for 10 years as it is displayed in their house. These make an awesome wedding gift! You can use their invitation, engagement photo's and add all their dates and information. You have 3 sides to fill! It looks best with approx. 6-12 photo's. 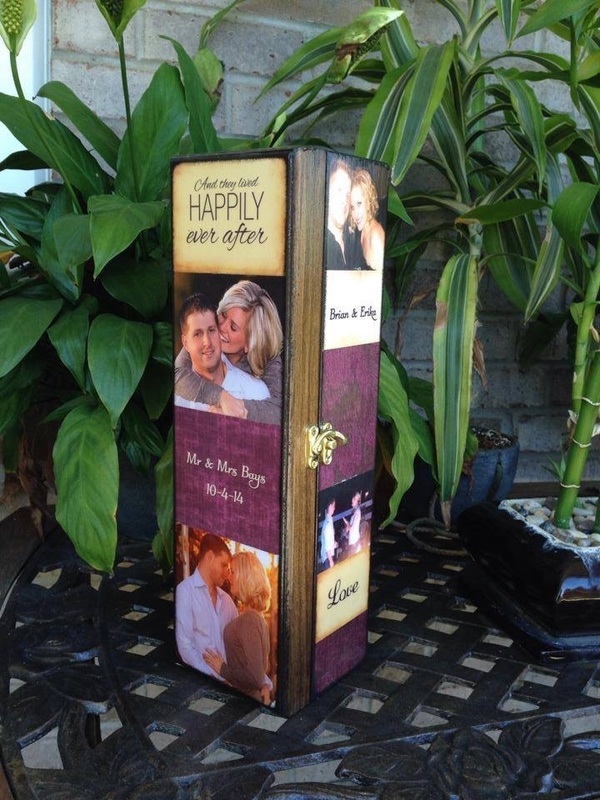 You have an option for me to design the inside lid with more memories or I can add tv shows, gas prices, etc so they can remember how much and what was popular on their special day! These will go through a 4 day coating process. 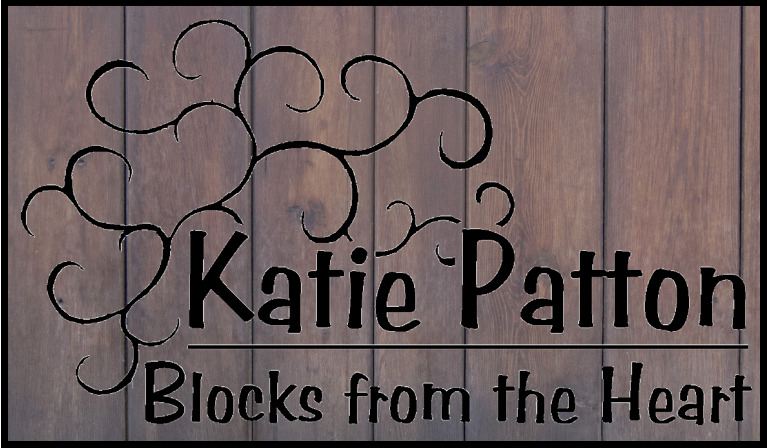 I will email you pictures after it is deigned and final pictures before I mail it so I know you love it! 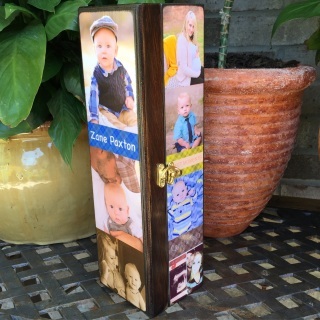 These wine box is made to last for many generations! This becomes an heirloom! This looks amazing sitting in your house. You can choose the color pallet and I will add my creative flare! This makes a perfect gift for lots of celebrations!! 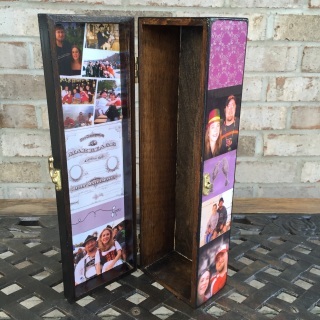 You can add up to 12 photos, names, dates, quotes, or anything you would like to see on this wine box. You can choose a color theme that fits the perfect occasion! 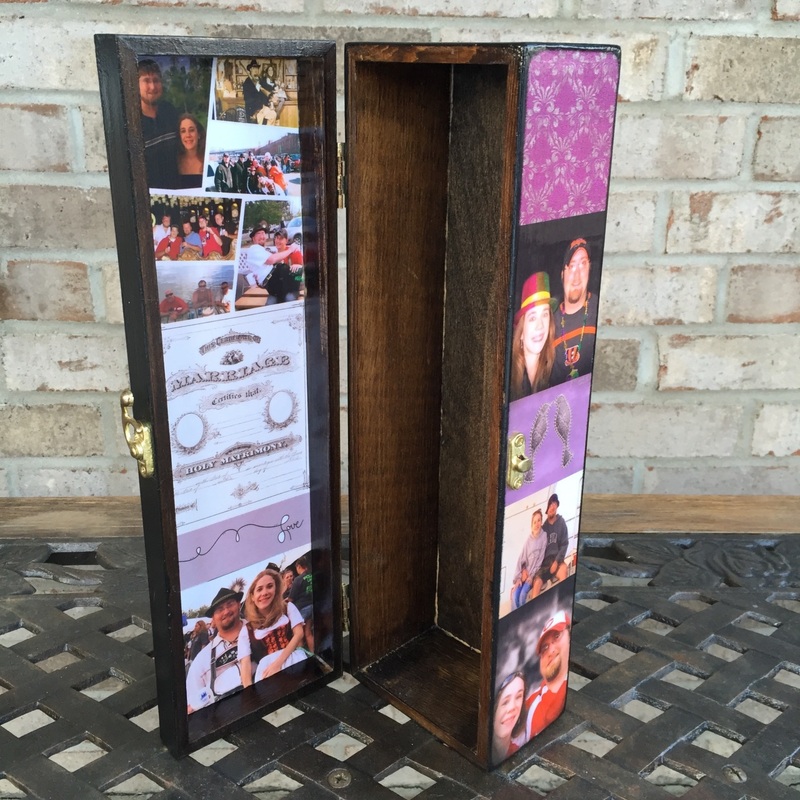 You can add up to 16 photos, names, dates, quotes, or anything you would like to see on this wine box. I love adding random things that are the most popular this year so you can look back 20 years from now to laugh at what was popular and how much gas, bread and houses cost. You can choose a color theme that fits the perfect occasion!